Jordan is located just north of Healdsburg in Sonoma County where it straddles the Russian River and the Alexander Valley growing areas (for the wine geeks out there, they are American Viticultural Areas). The winery dates back to 1972 and the Jordans have amassed over 1200 acres to form the estate, along with a stunning French chateaux that they built in 1972. Today, the estate has slightly over 200 acres dedicated to Chardonnay, Cabernet Sauvignon, Pettit Verdot, Merlot and Malbec. Additionally, the estate sports 18 acres of olive trees, a large vegetable and flower garden, a chicken coop and a roaming heard of cattle and rescue animals. The tour kicked off with breakfast on the veranda with homemade pastries and fruit, all courtesy of the Jordan gardens. I know that they are known for their wine, but they should be in the business of selling fruit as well. The plums, peaches and pluots were among the best that I have had all season. It came paired with orange juice and cucumber water. After nibbles and a visit with John Jordan, we followed our guide into the custom Jordan van to start the tour. On a side note, I was incredibly impressed by the van – it was well laid out, spacious and maned by a very capable driver. Our first stop was to visit the gardens, chicken coop and donkeys. Jordan had no ordinary garden. It was an impressive array of row after row of fruit trees, tomatoes, cucumbers and almost every vegetable, fruit and herb that you could grow in Northern California. Jordan’s own chef, Todd Knoll and his wife walked us through the garden. If that wasn’t enough, there was a flower garden filled to the brim with beautiful blooms, including Dahlia’s as big as your head. 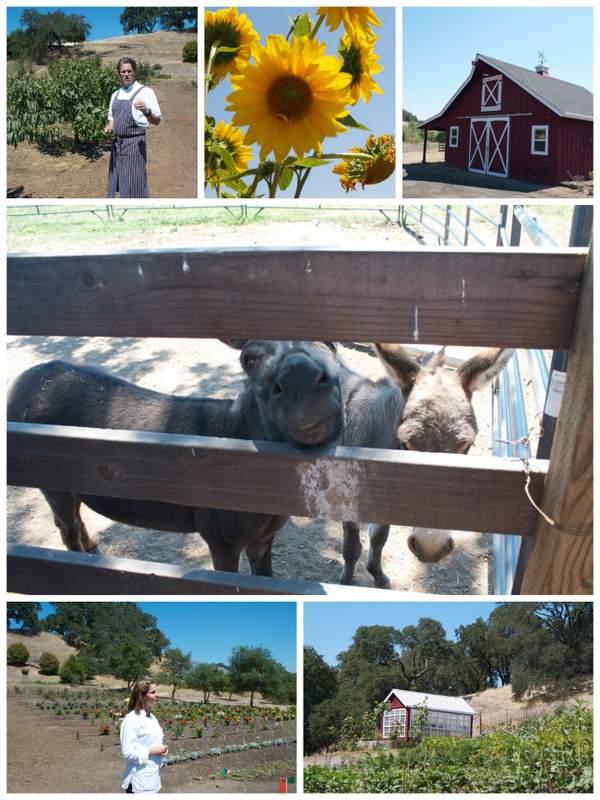 We tramped through the garden nibbling produce, then visited with the chickens and donkeys. Our second stop was a trip to the vineyards themselves. We walked among the Malbec and Petit Verdot vines. We sampled grapes of each. I much preferred the luscious and juicy Malbec (I can see why I like wine made from it). If it weren’t for the pits, I would be happy to eat them like table grapes. We bundled back into the van and hit our next stop, which was the larger of the two lakes on the two estates. 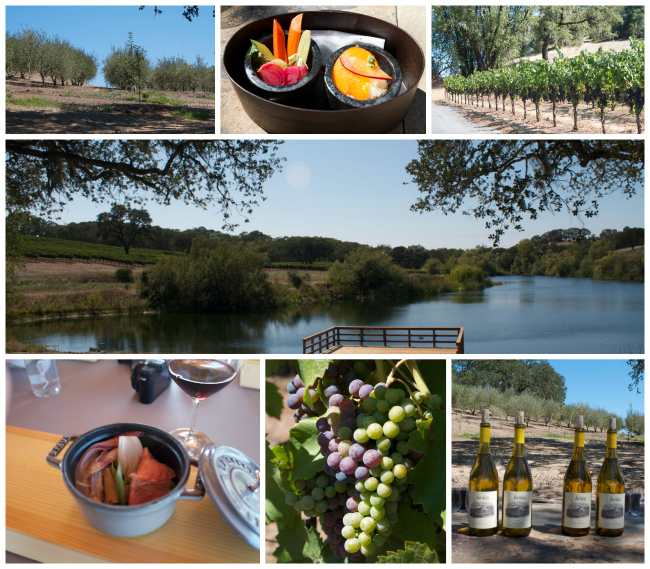 At this stop, we were greeted with a beautiful stone table filled with the Jordan 2010 and 2011 Chardonnay that was paired with a spiced garden escabeche (pickled vegetables with Gravenstein apple vinaigrette and wild fennel and nigiri of season stone fruit. Also on the table was the Jordan Extra Virgin Olive served with homemade crackers and bread. I couldn’t decide what was better – the wine or the olive oil. Jordan has moved its style of Chardonnay to the style preferred for White Burgundy. The wine is a blend of wines that have seen time in new and old oak, as well as some lots that have gone through malolactic fermentation. This style shows a kiss of oak with hints of butter but is overwhelmed by neither. It has an added benefit of pairing well with food and the ability to age for seven to ten years. We ended the stop with a trip to the platform on the lake used to fish. Off to the next stop. We wound our way through the Jordan estate, which is filled with grapevines, olive trees and trees, including a number of old oak trees. 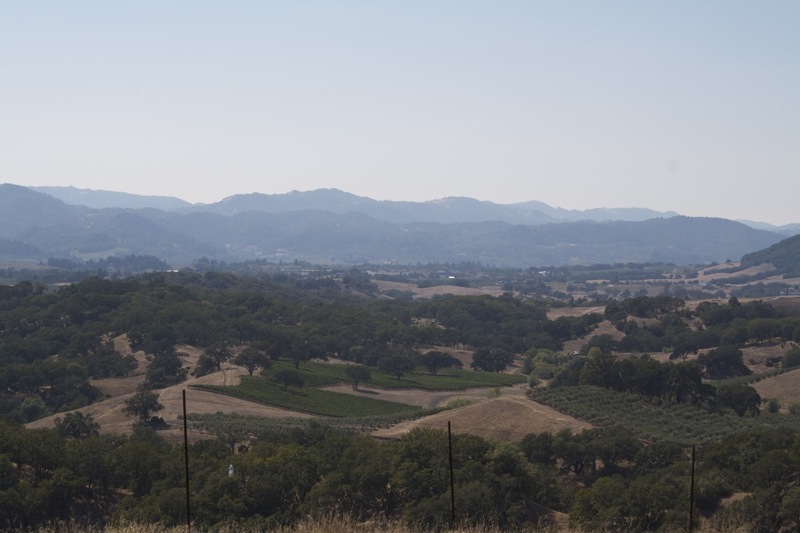 We drove until we hit the vista of Jordan winery, which afforded stunning views of the Alexander Valley. There we were greeted with more food and wine. This time, a 2002 and 2009 Cabernet Sauvignon paired with miso glazed Sonoma beef with maitake mushrooms and braised endive and a selection of cheeses served with figs and honey. The 2002 Cabernet was served as it is the personal favorite of the winemaker, who has been with Jordan since the beginning. 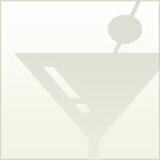 Jordan Cabernet is a lovely blend of new world and old world. You get the ripe fruit of California grown grapes paired with the reserved use of oak and controlled alcohol levels that the old world is known for. The result is an elegant, restrained wine that pairs with food. The wine doesn’t overwhelm the food but allows both the wine and the food to shine. Paired with the view from the vista, I can’t imagine a better way to spend an afternoon or a better pairing. After that, we headed back to the winery. 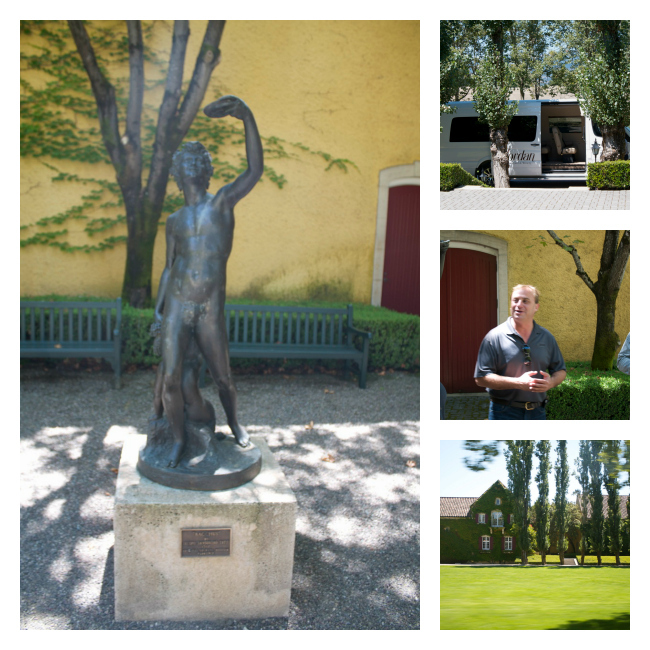 In addition to the Jordan Estate Tour & Tasting, Jordan also offers a Library Tasting and a Winery Tour and Library Tasting. The Estate Tour & Tasting start the first week of September and cost $120 per person.